Great Flood Brewing is now selling memberships to its new Flood Liars Club, a mug club that will get members discounts on beer pints and other cool perks. Hey, is there a better holiday gift for the beer nerd on your list? 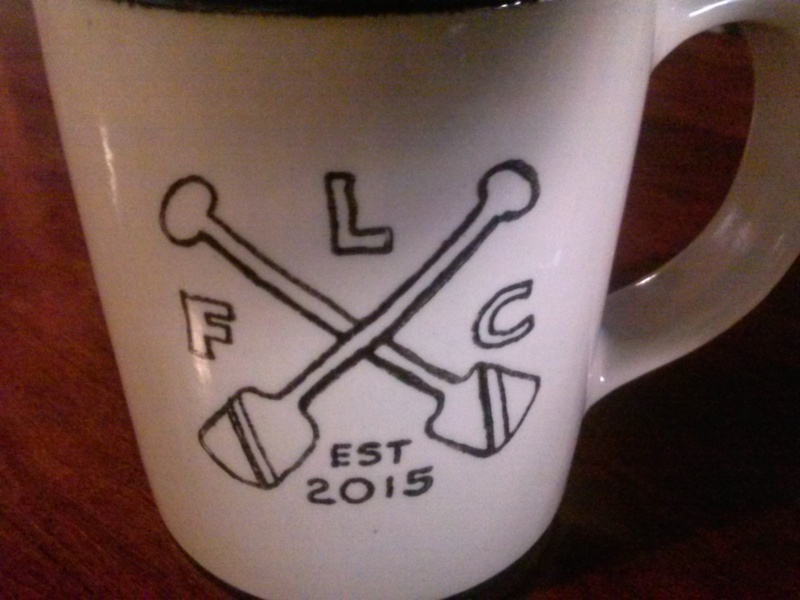 The Liars Club nets members a numbered, 18-ounce mug from Louisville Stoneware, similar to the prototype pictured, along with a T-shirt and sticker, a buck off all house brew pours and more. Great Flood co-owner Vince Cain said there will be exclusive specials for club members every Wednesday, plus quarterly private events such as beer tastings and brewing school, and a Liars Club email list for exclusive offers and beer releases. The club officially launches in January, but you can sign up now at the brewery, which is located at 2120 Bardstown Road in the Highlands. Space is limited, so don’t drag your feet.